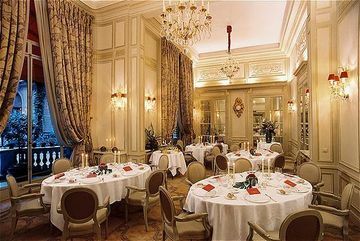 The hotel is located in a prestigious avenue, just off the Champs Elysees, close to many famous designer boutiques and restaurants. 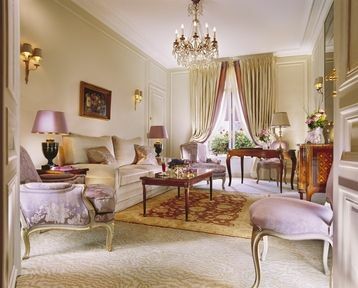 It is also a 5-minute walk from the Place de la Concorde. 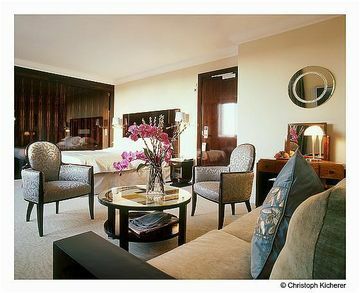 The luxurious rooms are spacious and in excellent condition. 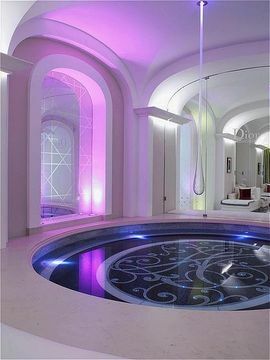 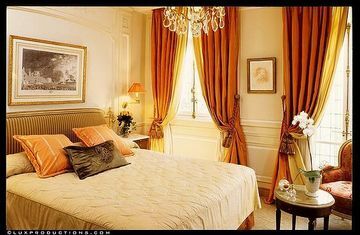 The decor is either Art Deco style or Louis XVI style. 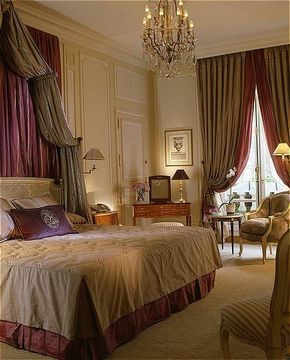 In both cases they are very attractive with a strong personality, highly furnished, and impeccable. 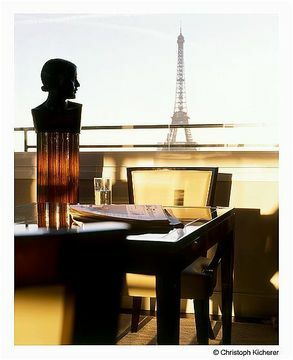 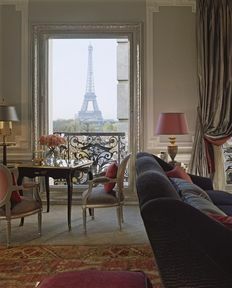 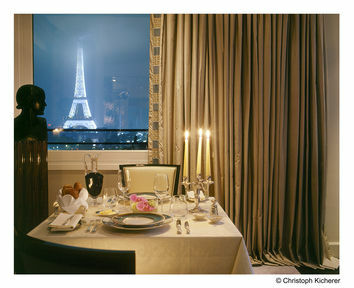 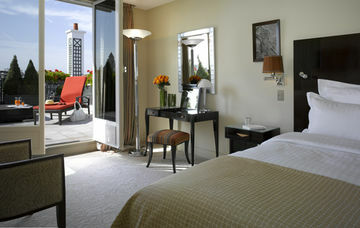 Some of the rooms have a superb view of the Eiffel Tower. 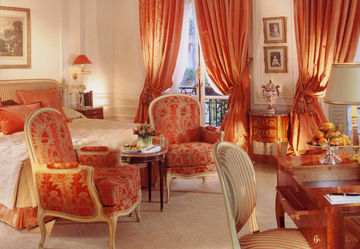 This is an elegant, charming, 8-storey, traditional Parisian style hotel, with attractive balconies at each window. 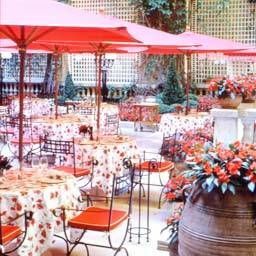 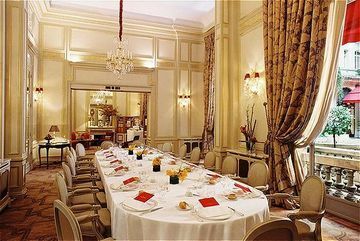 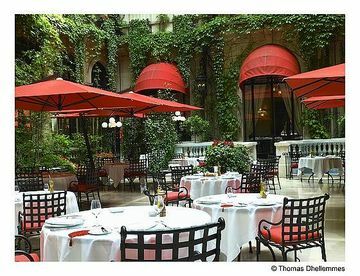 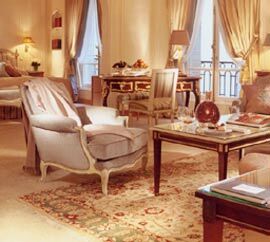 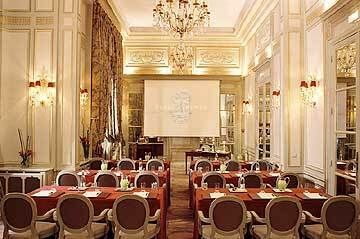 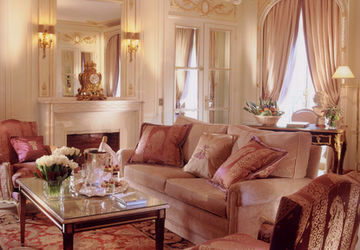 The Plaza Athenee restaurant offers haute cuisine served in luxurious surroundings. 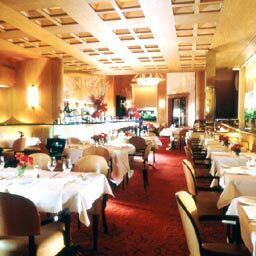 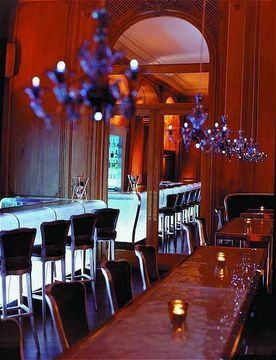 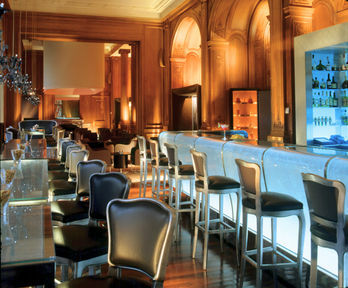 The Relais Plaza is a modern restaurant nicely decorated and the Plaza Bar welcomes guests in a cosy atmosphere. 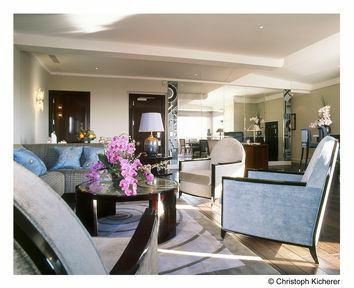 Totally rebuilt in 2005, the lobby is very impressive, elegant, and full of charm. 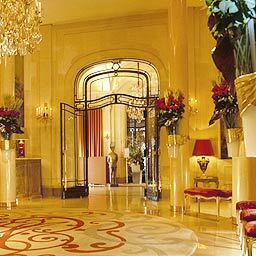 Everywhere, there are red and gold colours, marble, glittering chandeliers, and panelled walls. 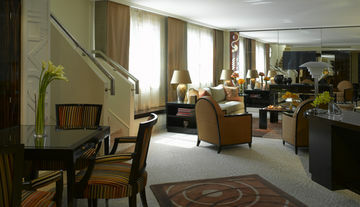 The lobby opens onto an impressive and luxurious gallery used as tea lounge. 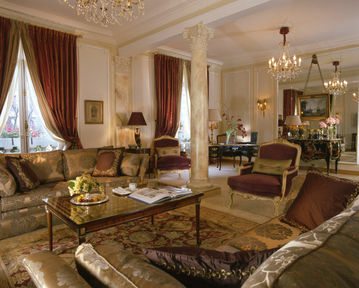 These places are furnished to a high standard and retain the peaceful atmosphere of a private castle.